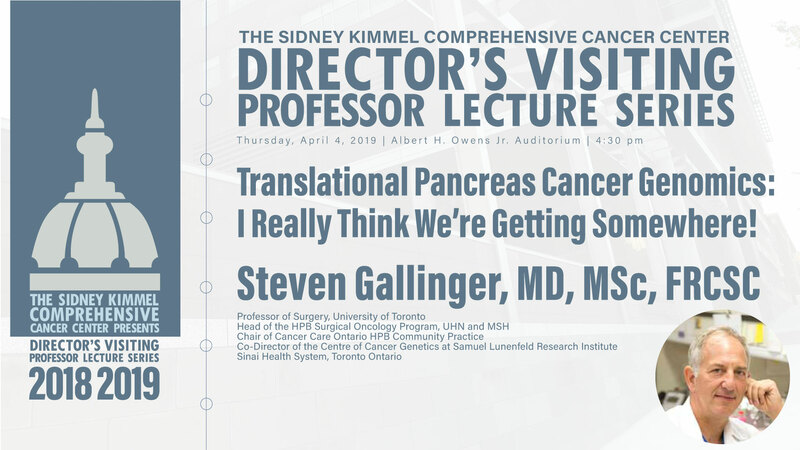 Senior Toronto Faculty, Dr. Steven Gallinger, will give the first of 2 talks this afternoon as part of the “Director’s Invited Professor Series” at Johns Hopkins Hospital in Baltimore. Today’s lecture on Translational Pancreas Cancer Genomics begins at 4:30. Tomorrow morning at 8:30, he will speak about the COMPASS Trial of Advanced Pancreas Cancer at the Oncology Grand Rounds.